I live quite near at Guevarras so I'm familiar and a loyal patron of this place since it started business. Adding to that, I get to dine hear for free whenever it is the venue of an event I need to cover. Yesterday, with nothing to do at home, well more like nothing to eat at home because I was toom lazy to cook, I asked John to end February with a lunch buffet at Guevarras. As always, we enjoyed our sumptuous food but more than that I enjoyed meeting the ladies and gentlemen who were wearing pink. I was wearing pink and I felt I belong so I asked permission if I can take videos and photos with them. Their group were there for a meet up because some of them are balikbayans from other countries. They were high school batch mates at Cavite National High School Batch 1971. It was a joy to see they still find time to meet even. Sana maging ganito din kami ng mga kaklase at mga ka-batch ko. After 6 sessions under Cavita Lipo and Thermolipolysis at Allura Body Contour and Slimming Center, I'm happy to annouce that I lost about 5lbs, considering I didn't restrict my diet. Had I followed a better food in take, coupled with exercise, I would have lost more calories and fats. Thermo-lipolysis is one of the famous offerings of ALLURA as it helps clients reduce weight easily and instantly. It uses cutting-edge thermal heat and infrared technology to burn as much as 900 calories per treatment of 30 minutes. You are put inside a hi-tech "capsule," so you can literally lose weight equivalent to 3-7 km. energy expenditure of running while lying down. It actually burns as much as 900 calories per session. More than that, it increases the metabolism, reduces water retention and stimulates body circulation. Cavita Lipo is a non-invasive treatment that uses ultra-sound technology which causes bursting (implosion) of the fat cells of the area being treated. Then it suction/vacuum probe hastens lymphatic drainage of the fat cell content (fat cells when destroyed release energy to be burned) into the blood stream. Reasons why you must try the same treatment at ALLURA? 1. ALLURA is composed of professionals in various aspects of medical and allied medical services like doctors, licensed nurses and physical therapist. Well trained and carefully selected, they are the ones who will carry out treatment plans that would work best for your body’s needs because they understand that everyone is unique. 3. ALLURA believes that body and beauty enhancements should be accessible to everyone. With a commitment and dedication to bring out the best in all their patients at really reasonable and affordable prices, they see to it that you always get more than what you pay for. 4. They offer clinically proven non-invasive solutions for fat reduction and body contouring programs using the latest approach and technologies. ALLURA takes pride in offering facilities rivalling any world class centers offering the same treatments. 102 Richwell Bldg. Mezzanine Timog Avenue Quezon City. If memory serves me right, my late father has 11 siblings. Two passed away at an early age so I didn't get to meet them. I'm not sure if this is the correct order but to name them all, Tiyong Junior, Tiyang Luding, Tiyong Tino, Tiyang Lita, Tiyong Enchong, Tiyong Manoling, Tiyang Linda, my Papa Berting, Tiyong Rene and Tiyong Gerry. I was the youngest of the four kids before and I remember Mama and Papa brought us often to my uncles and aunts. I thank all of them for thru them I try pick lessons and apply it hoping to be if a good aunt to my nephews and nieces. Tiyong Junior (+) lived in the province so we only see him when he came to Manila for business purposes. Though brief visits, Tiyong Junior was always very nice to us. He'd always tell me I look like his daughter Golda. He was a tall, with fair complexion, good looking man. His presence made Papa happy. I knew whenever they were talking that he gives Papa advice on life. I Iiked Tiyong Junior so much. Alberto clan's Christmas reunions were held at Tiyang Luding's (+) home. She was also very nice to us but was always busy probably because she has many children and business matters to attend to. She was very generous to us. Food was overflowing during those reunions. Even if she already gave us ampao (Chinese red envelop with money inside) she'd still tell us to pick a gift under the Chrsitmas tree. Tiyong Tino is my favorite uncle. Although very strict, he was loving to his siblings, especially the younger ones who didn't have enough. We used to live with them in Balintawak until Papa and Mama had enough to start on their own. I have blogged about Uncle Tino before. Although I had plenty of overnight stay at Tiyang Lita's (+) place, our encounters were brief for she was always out. I remember most about her thru her nine children. Ate Marie and I were close. She never hesitated to help me when she was working at KFC. Unfortunately, I didn't pass because I didn't meet the 5'2 height requirement. I didn't get to talk with Tiyong Enchong (+) because he was always busy with a lot of things. I was closer to his wife, Tiyang Elvie, who always had a ready smile when we visited them. I was also close to their children. Tiyong Manoling (+), they say was the most handsome among the boys. He used to work in a bank and that was a big thing before. He was my Kuya Bob's godfather and how I envied my brother because Tiyong Manoling always give him crisp bills during Christmas. It's at Tiyang Linda's place where I spent most of my Christmas and summer vacations because I served as a playmate as well as tutor to my cousin May. I have blogged about Tiyang Linda in the past. Tiyong Rene maybe hot-headed but I appreciate the times when he protected us from harm. We had a lady neighbor who was very mean to my Mama and Tiyong Rene confronted her and she stopped bullying my mother. Although Tiyong Gerry didn't talk much to me and my siblings, I know he cared for us. One time, while I was about 9 or 10 years old, I heard Tiyong Gerry warned male teenagers to stay away from my older sisters. I was fifteen when I had my first boyfriend. Mama and Papa didn't know although Mama asked several times if that guy was my boyfriend. Of course, I denied, they wouldn't approve because I was too young to fall in love. Plus that guy was probably 8 or 10 years older than me. One day, while I was walking and that guy was at the other side of the street, I heard Tiyong Gerry shouted, "Hoy, tigilan mo yang pamangkin ko. Bata pa yan. Alam ko balak mo dyan!". That guy stopped talking to me. It broke my heart (hu!hu!hu!) but I'm forever thankful to Tiyong Gerry for protecting me. I am certified Healthy Options client for many years now because that's where I buy supplements for my brittle hair and nails. The #Mendiolables also buy organic vegetables there from my favorite Costales Farms. I am happy to receive yesterday a package from M2Comms, In it are organic eggs, organic honey, cinnamon powder and extra virgin olive oil. Why is Healthy Options organic eggs extra special? Their free-range hens consume only all-natural feeds, they produce premium, free from artificial hormone eggs that are packed with protein and double the micronutrients than conventionally produced eggs. My husband and kids likes Healthy Options organic eggs because its tastier even without salt. It is also creamier and fluffier even without mixing milk in it. People have different words for bathroom. Some call it comfort room, lavatory, restroom, powder room and toilet. Sa ating bayan ito ay kasilyas, kubeta, silid-paliguan at banyo. Despite its general use, the bathroom is my favorite part of the house because it brings forth wonderful memories of my mother. In the kitchen, when Mama asked me to help prepare food, I'd always forget a thing or two and Mama will not be happy. But when she tells me to clean the banyo, she'd praise me oh so dearly for doing a good job. This is probably why up until now I'd prefer to clean our banyo than cook food. Ang lakas talaga ng psychological effect ng mga magulang. Kaya para sa mga magulang na nagbabasa nito, i-praise ang mga anak sa mga kaaya-ayang gawain, wag ng itulad sa akin (lol!). Some people eat chocolates when upset, depressed or plainly sad. Some would go shopping. Others would drink themselves to death. Iba ako, I'd go clean our banyo. I love cleaning our banyo, because I get to reflect on things that matters, such as, prepare my program for events and hosting, draft an article for this blog, plan our trips, sweat out, or cry when sad. When I am in this place I feel joyful, it's like a dose of instant happiness. As soon as I start cleaning our banyo all the negative emotions inside vanishes. But let's face it, ang hirap linisin ng floor, especially if the tiles are in white or cream shade. Feel free to watch my video on How To Clean Bathroom Tiles. Earlier today at 101 Hotel in Quezon City, Ajinomoto Philippines Corporation launched its newest product and endorser, Coco Martin for Sarsaya Oyster Sauce. Sarsaya Oyster Sauce is concentrated from real oysters, complete with seasonings to rpovide a delicious blend of savory, sweet and salty taste to any dish. It comes in 30g pack and 156g stand-up re-sealable pack. Also available is Sarsaya Sweet and Sour Sauce in 200g stand-up pouch. Coco Martin was chosen to be the endorser of this product because he embodies a person who loves cooking, being a fan of his lola's cooking, as well as a graduate of Hoter and Restaurant Management or HRM. The event was made exciting with a live cooking demo and cook-off headed by Chef Mac Rodrigo where he cooked Ginisang Kangkong with tokwa and Thais Style Stir Fried Chicken using Sarsaya Oyster Sauce. 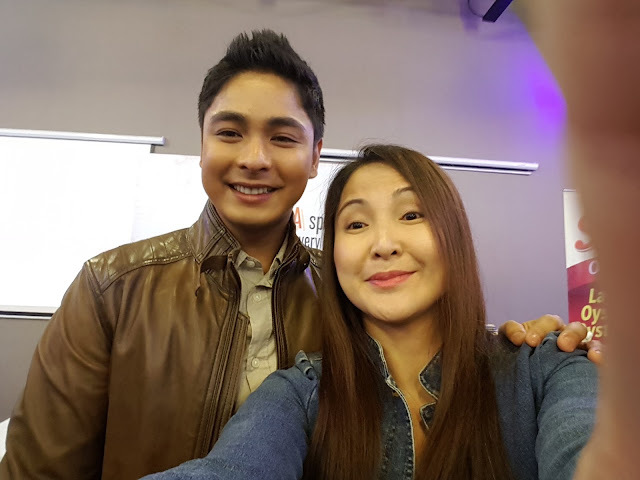 Sarsaya Oyster Sauce TVC with Coco Martin was also shown during the event. The launch was more fun when media, bloggers and guests were allowed to ask Coco some questions. Thank you Ajinomoto Sarsaya Oyster Sauce for this once in a lifetime opportunity to interview one of the leading actors of the Philippines! It's been a year since we changed the aircon in the masters bedroom. The part where the old aircon was left without a paint because we couldn't find the same color of paint. Our cotractor cannot remember the exact kind of yellow. It irritates me everytime I see that unpainted part so I decorated the the wall using an old Calendar. I can cook only a few Filipino viands that's why I ask my frineds and relatives to teach me their signature dishes. Today I tried cooking Asadong Manok, which was thought to me by my friend Nen a year ago. Ngayon lang ako nagkalakas ng loob na subukan syang iluto. 1 kilo chicken, breast and leg part. Remove the skin. Marinate chicken pieces in salt and pepper. Sift for 5 minutes. Stir fry the chicken. Set aside chicken aftre frying. On a different pan, saute onions and bay leaf in butter. Put tomato sauce. Simmer for a few minutes. Put calamansi juice. Stir then cover. Simmer for 5 minutes then put the pan fried chicken.Put the tomatoes, cover the pan unti the potatoes are cooked. Instead of throwing parties for co-bloggers and friends, I organizes and hosts outreach activities every February 20 in celebrating this blog's anniversary. I'm normally done with everything by the month of November but 2016 year was not that good for me and my family. A lot of unhappy events happened, we lost Papa in April. Mom-in-law was hospitalized by June. John was hospitalized by August and November. I got my thyroid biopsy result by December that said "possible cancer". But how can I not push with Occasions of Joy 7th Anniversary at Pasay Sped Center when all the kids and teachers prepared songs and doxology already. To cut the long story short, everything went well. I would like to thank everyone who were a part of this sharing of hope, love and joy to the special children of Pasay Sped Center, their teachers and some parents and guardians who were present during the outreach celebration. My heartfelt gratitude goes to Principal Lea Marcelo, Teacher Julie Maranan, Ricky Quinsay, Agnes Caguntas, Lyn Borje, Amy Perez, Jomes Mendiola, Kim Basa, Vanj Vua, Sofy Alberto-Lista, Kessa Thea Egegaard Nielsen, Tetcha Gregorio-Figuerres, Rosanna Hwang, Maria Darilay, Lan San Juan, Ms. Elmie Cadungog, Ana Papasin-Monta, Jello Anselmo, Diana Stalder, Jen Dizon, Alfie Zapanta, Amaya Accents, Eiskin, Bubbleman, Mother Nurture, Wacoal, Omizu, Full Circle Communications, Inc., Perceptions Inc., and Marra Builders, Inc. I definitely want to contribute to that. " One of the biggest problems in Manila is traffic. I personally prefer to walk and use a bike going to places. I sometimes take MRT as well if my events or meeting is in Quezon City for as ong as it's not rush hour. Last month as I was running late for an event, I tried the ferry ride in Hulo Station to go to Makati. Ang laki ng tipid sa oras at sa pamasahe! Sana dumami pa ang ganitong paraan ng transportasyon upang makatulog sa bawas ng trapik sa kamaynilaan. Palabok is one of my favorite so I asked my best friend Nena two years ago to teach me how to cook it. I find the whole process taxing so that was the first and the last time I cooked palabok. Earlier today my son Rafae called saying his coming with his classmates for groupings (group practice or group activities) for ther finals. What's left inside the cupboard are 4 packs of McCormick Palabok (two were given in an event and other two I bought in the grocery). I read the instruction and found it easy to follow. And voila, yummy palabok cooked the easy way! My twin kids are now in Grade 8 as #BatangMandScie (the term used for scholars of City of Mandaluyong Science High School). I owe this school a lot of love because it hones Julia and Rafael a good education that's why I actively participate in all of school activities, just like the recently concluded City of Mandaluyong Science High School 21st Foundation Day. Along with the foundation day, a family day was held in each classroom during lunch time and parents day held after lunch at Audio Visual Room. After fulfiling my job as Homeroom PTA President of Hooke - 8 and Asst. Treasurer of GPTA in the morning and afternoon, I kept busy promoting Omizu late in the afternoon and at night. Omizu is the first and only beautifying bottled water in the Philippines that is naturally rich in Silica, a natural anti-aging and antioxidant mineral. This amazing beautifying drink, bottled through the most advance Japanese technology, has health benefits to repair and rejuvenate the body inside and out. There are many choices when it comes to tissues - facial, bathroom and kitchen also known as paper towel. With so many brands choosing tissues eats up my time when doing the grocery. Dahil matipid at practical akong nanay, i choose brands na mura pero maayos ang quality. Panasonic Manufacturing Philippines Corporation (PMPC) had a conference earlier at Makati Shangri-La as it marks its 50th year in the country with the aim of surpassing its previous sales performance. Panasonic is one of the leading manufacturers of high quality products like washing machines, refrigerators, airconditioners and electric fans, beauty products, that makes life easy and convenient for its clients. Panasonic is a proud manufacturer of "Japan Quality" products. Panasonic Corporation, the mother company of PMPC, will celebrate its 100th year in 2018. The event was hosted by Christine Jacobs-Sandejas. It's difficult and tiring to organize an event that's why I only do it for brands I love. Last week, I gathered lifestyle, mommy and beauty bloggers and vloggers for Mask Sparty at Diana Stader where they were treated to a facial supreme using Casmara c40 bi-phase soya imported from Spain and guilt-free healthy lunch at DS Cafe. Omizu, headed by Mr. Alfie Zapanta, also joined us to introduce this Beautifying Natural Spring Water that is naturally rich in Silica. Silica is a natural anti-aging and antioxidant mineral. Everyone went home with products from Diana Stalder, Omizu, Bubbleman Dishwashing Liquid and beautiful, refreshed and moisturized skin. Stalder Laboraties Inc, is a sister company which manufactures all their skincare products. It is an FDA approved, GMP certified company Asean cosmetic regulations standards. Their newest addition is DS Cafe which provides Canada’s top weight loss program products and programs. The Ideal Protein medically designed protocol that provides a variety of protein-rich, low-calorie food products, plus organic juice. Though I cannot relate with the online survey of over 500 Filipinos, that said "58% of respondents admit to using mobile phones to end relationships. Almost 30% used texts, 22% called, and 7% used instant messenger" because I was born and raised at a time when high tech gadgets aren't known, thsi article is worth sharing. 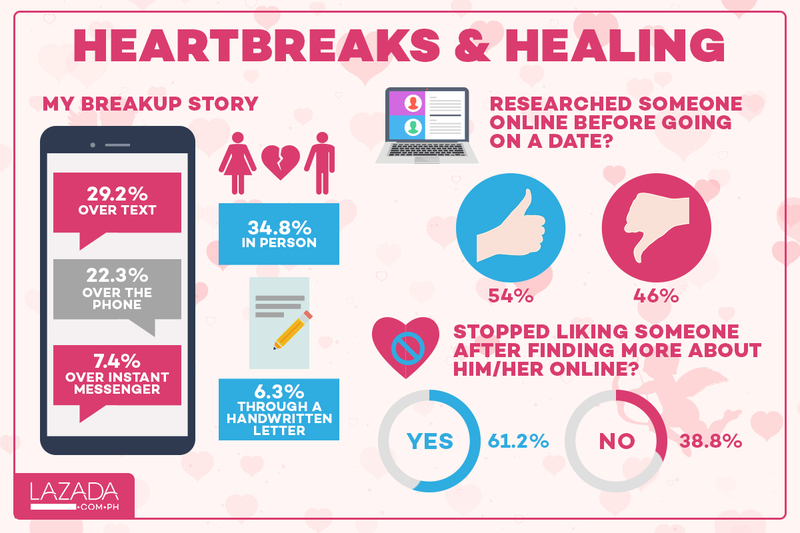 The online survey on "Heartbreaks and Healing" conducted by Lazada, the country's leading online selling and shopping destination, wanted to investigate how technology has affected how we get together, fight, break up, and move on. When it comes to developing relationships online profiling has become a standard practice. 54% of respondents check a potential date's social media profile before going out on one. Online research and dating is now so intertwined that even if they like someone in person, 60% of people have said that they lost interest after doing more research on social media. Even after breaking up, more than half of the respondents (52%) report stalking their ex's social media page. While breakups are tough, 1 out of every 3 respondents, ended up getting back together with their ex. How to get back together? Trust is one important factor. Almost 65% of respondents say they share their email, phone and app passwords with their significant other. Gifts don't hurt too. 75% of respondents agree that giving gifts helps in the reconciliation process. 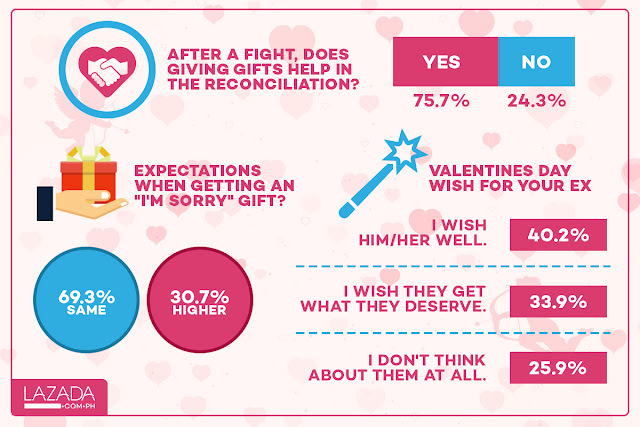 "I'm sorry Gifts" don't have to be expensive though, with 69% of respondents saying they do not have higher expectations. At the end of the day, if you and your significant other (SO) stay together or drift apart it is important to not harbor any ill will. 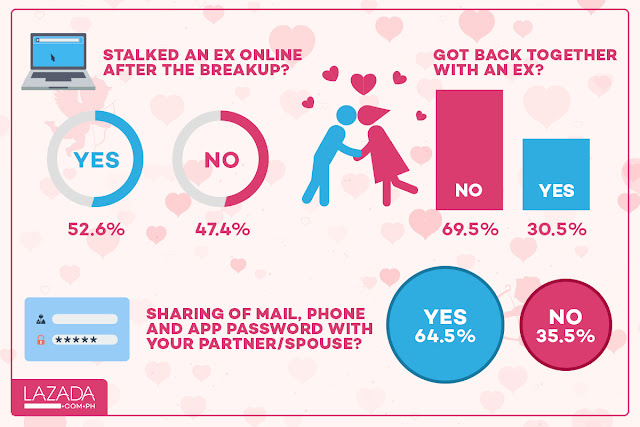 More people want to wish their exes well this Valentine’s day (40%) than not think of them at all (33%). 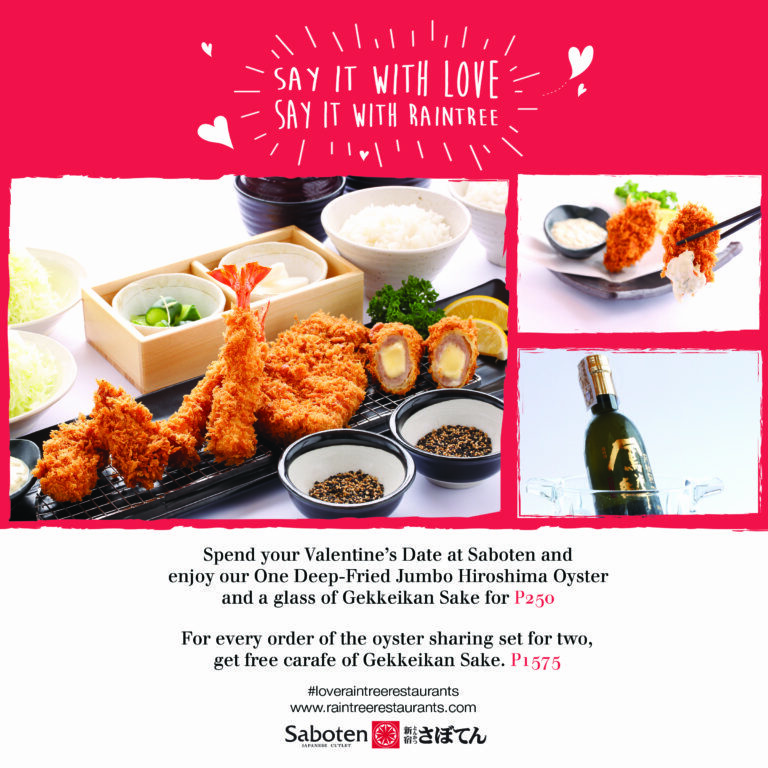 Looking for ways to spread the love this month? Whether it’s a gift for yourself, a budding loved one or a significant part of your past, Lazada’s wide assortment of products, cash on delivery, and free shipping within Metro Manila is easy to love. Get the best deals and discounts by visiting www.lazada.com.ph or by downloading the mobile app for free. February is such a hectic month for me, starting with Juan's 11th birthday, so many events and preparation for my upcoming blog anniversary and outreach activity. When Pam, my co-PTA officer in Mandaluyong Science High School, invited me to lead the opening prayer for Ena's 18th birthday, I couldn't say no. Debut, just like wedding and baptismal are occasions I love attending. It's nice to see girls turn into a young lady during the celebration. I get teary-eyed seeing Pam with her daughter because when I celebrated my 18th birthday my Mama was sick. She was so sorry that she couldn't give me a big party because all the money were spent for her peritonial dialysis. I'm not sorry for not having a debut just like Ena's, I'm just sad that my mother passed away at a young age of 43 (2 years and 3 months after my 18th birthday). To Pam and her husband, I salute you for being the best parents. To Ena, continue to be smart, intelligent and humble but most importantly, continue to be a loving and caring daughter to your parents. Happy 18th birthday! Another successful Auto Auction by HMR happened earlier today at HMR Sucat! If you'd like to join the next auto auction and other upcoming events by HMR, feel free to visit and like their Facebook page HMR Auto Auctions. You can also visit their website, HMR Auctions. Km. 21 East Service Road, South Superhighway, Sucat, Muntinlupa City. (02) 548-6960, (0917) 548-3603, or (0999) 887-8803. It was early last year when I first learned about Omizu Beautifying Natural Spring Water at a wellness event. Then again at another event where they were giving a bottle for sample. After reading its beauty and health benefits (firm and supple skin, healthy nails, prevents hair loss, promotes strong teeth, combat alzheimer’s, helps prevent heart attack, helps achieve hormonal balance and heal skin tissues) I knew this water is for me and my family! With the collaboration of Filipino and Japanese Engineers and Businessmen, Inryo Corporation was formed on February 14, 2014. Being registered under the Security and Exchange Commission, its primary purpose is to create and introduce an innovative process that will turn water into a beneficial and functional drink. 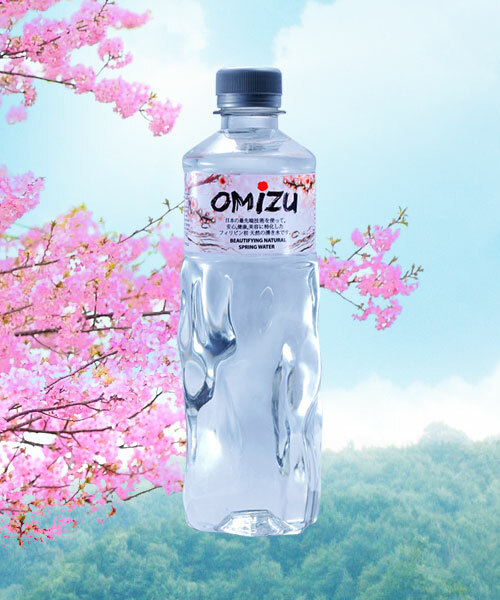 Omizu, Inryo Corporation’s first product has reached a new milestone in water technology by being the first Beautifying Natural Spring Water in the market. Equipped with the best up–to-date technology, individual expertise and financial capacity, INRYO Corporation is geared towards building a name in the business world, exhausting its resources to the development of its product and services for the gain of every single person affiliated to its organization. Inryo is located at Lot 8 Blk 28 Phase 2, Santana Vill., Brgy. San Luis, 1870 Antipolo City. To celebrate and spread Love in Guam this 2017, visit the Guam booth at the Philippine Travel Agencies Association (PTAA) Travel Tour Expo from February 10-12, 2017 at the 2nd floor, SMX Convention Center, MOA Complex, Pasay City. 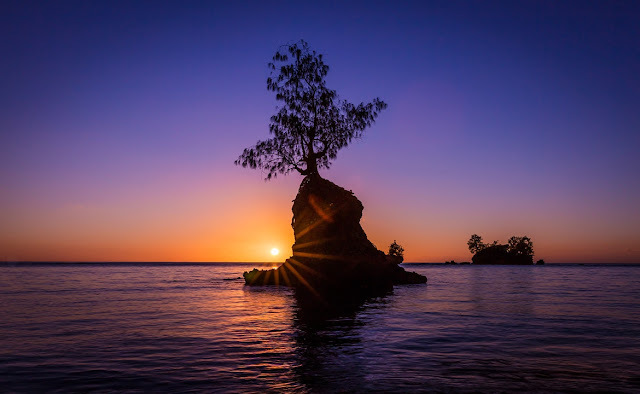 There are plenty of reasons why you should put Guam as your next travel destination. As for the #Mediolables, we are looking forward to featuring and promoting Guam's breathtaking panoramic views, soft white-sand beaches, spectacular sunsets, their food like Chamorro barbecue, red rice and chicken kelaguen, their countless marine sports, its 131 sites across the island that are listed on the National Register of Historic Places, stunning landscapes, island’s mysterious caves and waterfalls and pristine shorelines. To rekinlde love and romance, couples, partners, husbands and wives will find Guam a perfect place to spend honeymoon. Being the most romantic destination, this is a place where you might want to say I Dos! My husband is a reluctant blogger. He only joins me in events when he finds the topic interesting. Travel and arts, books and toy events are his favorite to attend. At #VISITGUAM event, I know that John had a great time because Mikey Bustos graced the event, The #Mendiolables are fans of this funny and nice guy. I met Mikey a couple of times in the past but this is the first time I had the opportunity to vlog our conversation. New Balance just launched its 247 at Manam. 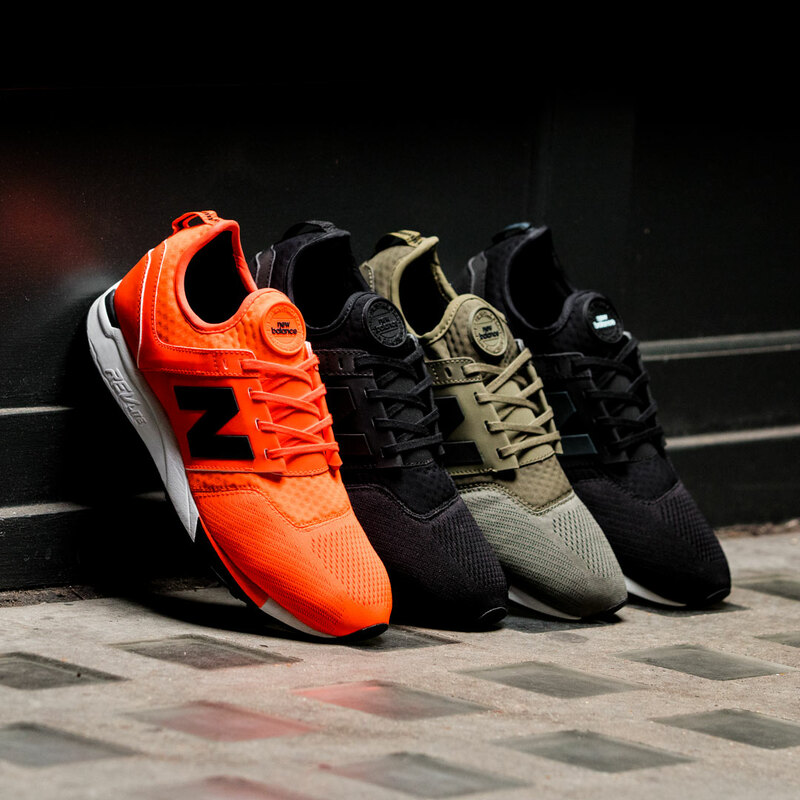 New Balance 247 has a versatile style that can be worn morning, noon and night. It also features lightweight engineered mesh, neoprene bootie, synthetic overlays and reflective hits work in conjunction with vibrant colour pops for a more technical and eye catching look. The style is ideal for those consumers that want to make a stylish statement on their daily commute. It offers a new look, feel and fit, but draws inspiration from iconic New Balance models to remain grounded in the brand DNA. Tapping into New Balance’s reputation as a premier performance brand, the 247 Sport combines an engineered mesh upper with a neoprene sock construction for a performance inspired technical look, fit and feel. A reflective welded N logo, reflective collar strap and rubber “sport” tongue label were borrowed from New Balance performance running, but designed for a 247 lifestyle. Inspiration from heritage models includes the asymmetrical detail on the toe vamp that is a subtle reference to the 1300; a collar strap design taken from the 574 and 576; and, a sleeker more lightweight version of the 998 midsole. The cutting edge 247 design combines the craftsmanship, technology, comfort and fit New Balance is legendary for and offers the versatility needed for the modern style seeker consumer and their round-the-clock lifestyle. 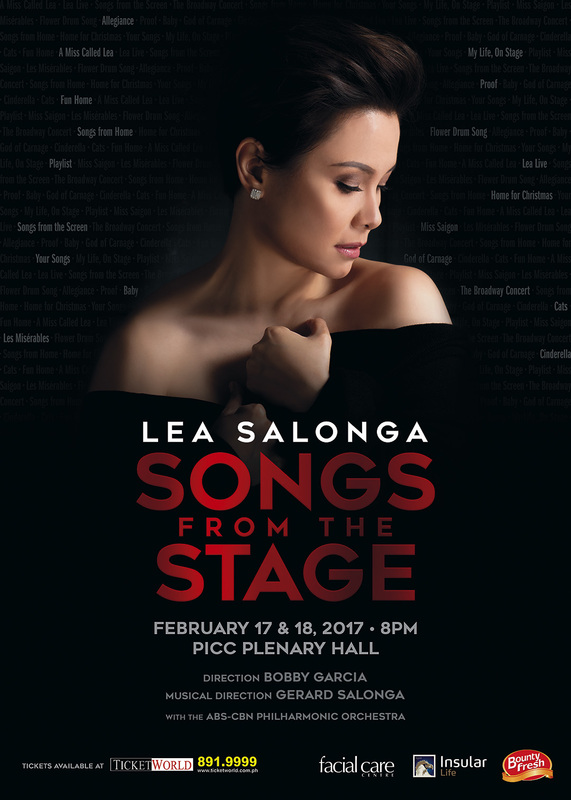 Lea Salonga, Filipina actress, singer and an International Broadway star, is having a 2-day concert titled “Lea Salonga: Songs From the Stage” on February 17 and 28, 2017 at the PICC Plenary Hall, CCP Complex in Pasay City. View Park Hotel Tagaytay launches its new couple-centric packages in February. Staying true to its mission of helping people make great memories happen in this year when the hotel celebrates the big 10, Memories @10 are geared for couples who want something fresh and fun that they can enjoy together. Better yet, these promos are available for the entire year. 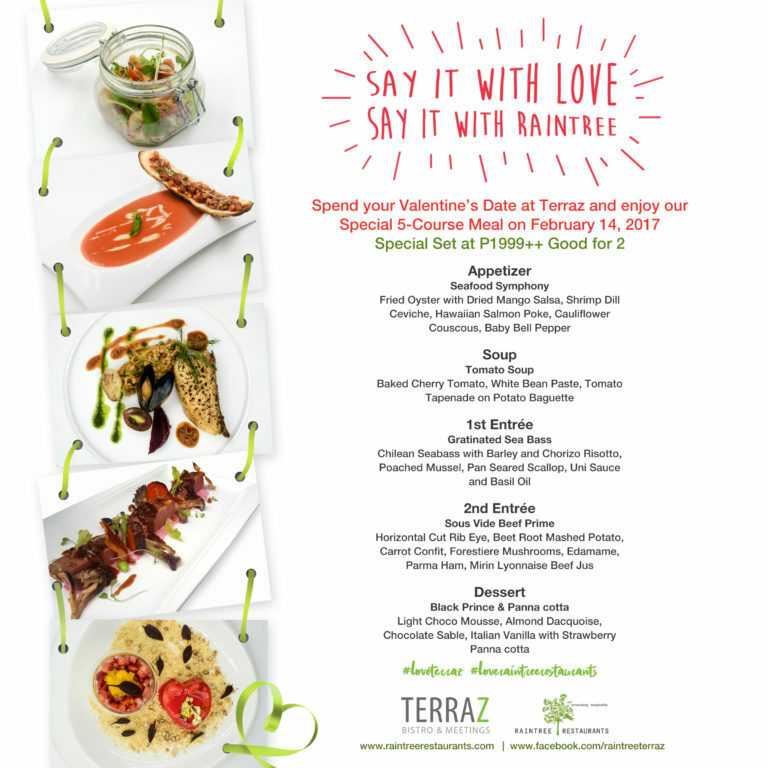 To celebrate Memories@10 at View Park Hotel Tagaytay, couples can choose from any (or all!) of the packages: Room-antic Treat features Love Nest and Movie Night, each package priced at Php 950 where you get romantic room setups, treats, souvenirs and more. 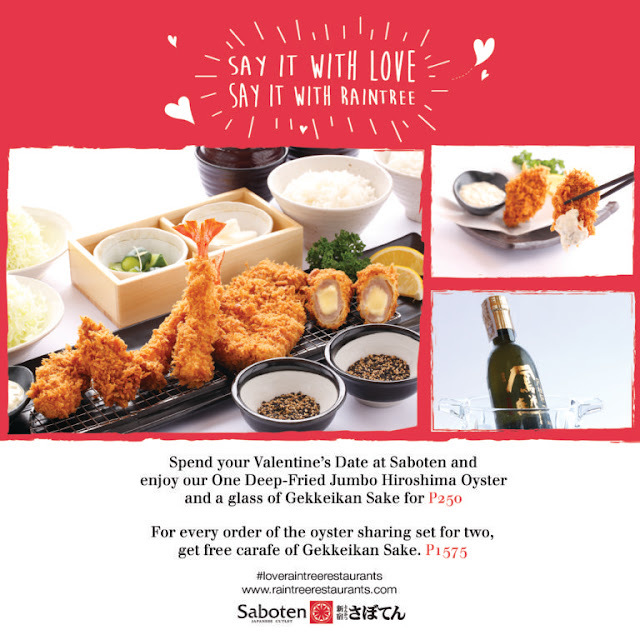 Date Night allows you to choose a Candlelit Dinner or Wine + Cheese (Php 1,650 each) -- after all, what better way to spend priceless together-time than with food? If you and your SO (Significant Other) prefer the outdoors and be more active, we have planned the Love Trail. In this package, you can choose the Tagaytay Trail (Php 1,650) or the Taal Trek ((Php 2,850/person). The difference lies in the places and activities lined up for each package. But if you want to hit more places, then why not sign up for both? The View Park Hotel Memories @10 is open to both check-in guests and those who are not staying overnight but want to give their honey a sweet surprise. To book your package and for other inquiries, please contact 0922-8851516 (Sun), 0999-8839460 (Smart, Viber ready), 0917-5446396 (Globe), 584-4090 (Manila line) and 046-4130862 (Cavite line). View Park Hotel Tagaytay is conveniently located right across Picnic Grove. Whenever our kids get together with their friends, John and I reminds the kids to play hide-and-seek instead of their high-tech toys because this play has proven to be a necessary contributor to child development, such as, it builds stamina and aids muscle development, helps improve balance, agility, and coordination, teach children problem-solving skills, volume and the concept of size and spaces, allows for practicing turn-taking skills as well as learning how to work as part of a team. The next time you have a party, encourage your children to indulge in hide-and-seek. It's been 4 years since the last time the #Mendiolables saw Mara. I met Mara and her mom, Ate Lou, at an outreach activity at Grace To Be Born. Since then Ate Lou and I have been friends. My husband helped Mara for her first ever photoshoot as she prepared her porfolio to become a model. Then they moved in Bukidnon.Mara and Ate Lou are now based in Davao. Mara won the Ms. Bukidnon 2 years ago. She's now in Manila to vie for Mossimmo modelling contest. I made sure that Mara will enjoy her dinner with us in Manila so we brought her at Chelsea Kitchen in Megamall to try the Love Burger. Love Burger is served on a red heart shaped brioche bun with a juicy patty topped with cheese, served with fries on the side for only P450! It is available at Chelsea Kitchen for the whole month of Februray. It is also available at Chelsea Grand Cafe, M Cafe, Kabila, Stella Rocketroom and Providore. Valentine's Day is usually spent at home because John and I prefers to celebrate love everyday instead of just one day. This year, Valentine's Day is going to be different as we will be trying out Raintree Restaurants' Valentine's Day Special Meals. Starting with the Love Burger! 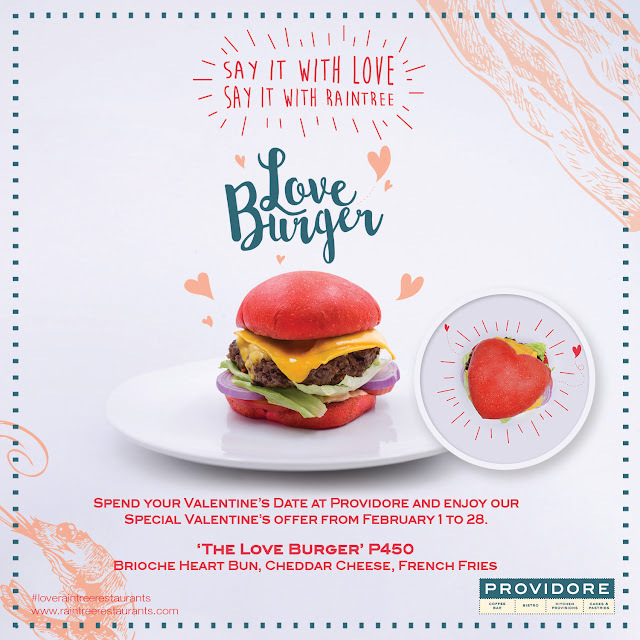 It is served on a red heart shaped brioche bun with a juicy patty topped with cheese, served with fries on the side! It will be available at Chelsea Grand Cafe, Chelsea Kitchen, MKabila, Stella Rocketroom and Providore. Last year I won a shift dress from Ysabel Vitangcol's blog. I thought that Viktoria Couture and Designs was just a sponsor of Ysabel's giveaway. I was shocked to know that the owner and designer is actually Ysabel's mom, Ms. Nancy Vitangcol. Two things are definitey common with mother and daughter, they're both pretty and nice. Finally, afeter months of being so busy, I was able to go back at Viktoria to fit the shift dress. I like the color and design. It sure made me look thinner. I decided that it's best to have John's suit and my dress customized by Viktoria Couture and Designs rather than buy a ready-to-wear for the upcoming wedding of Jeff and Mel at The Manila Hotel on March 19. We usually buy from malls but the size would always be too long since John and I are on a "not-so-tall side" hehehe! Viktoria Couture's pieces are grounded on classic elegance and comfort. They conceptualize, design and create dresses, gowns, suits, barongs and costumes. To view Viktoria Couture designs, please check out http://www.viktoriacouture.com or email them at viktoria.couture.designs@gmail.com.